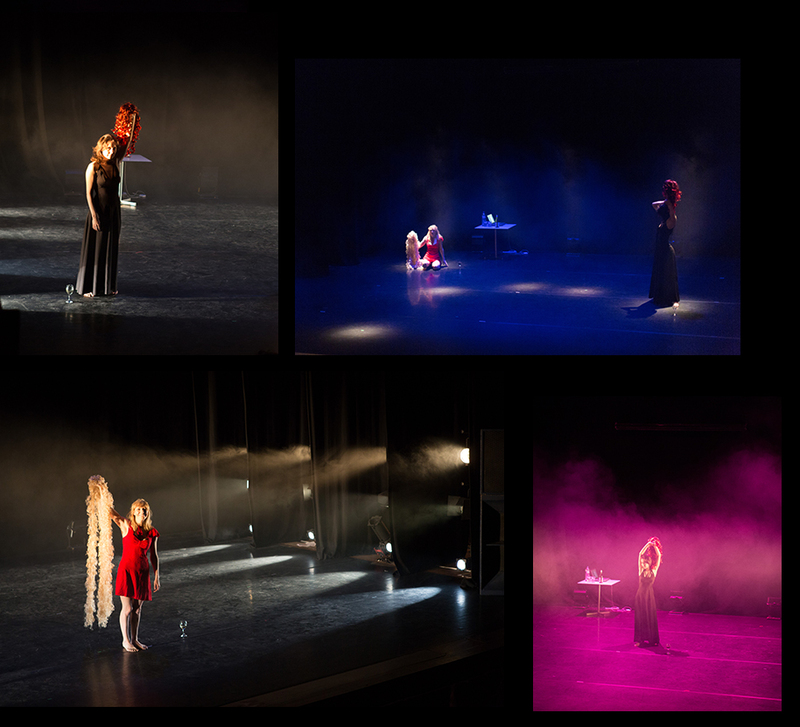 On a large empty stage filled with haze and slowly changing lights, 2 women dressed for an occasion are trying to work out if they're here or hair. 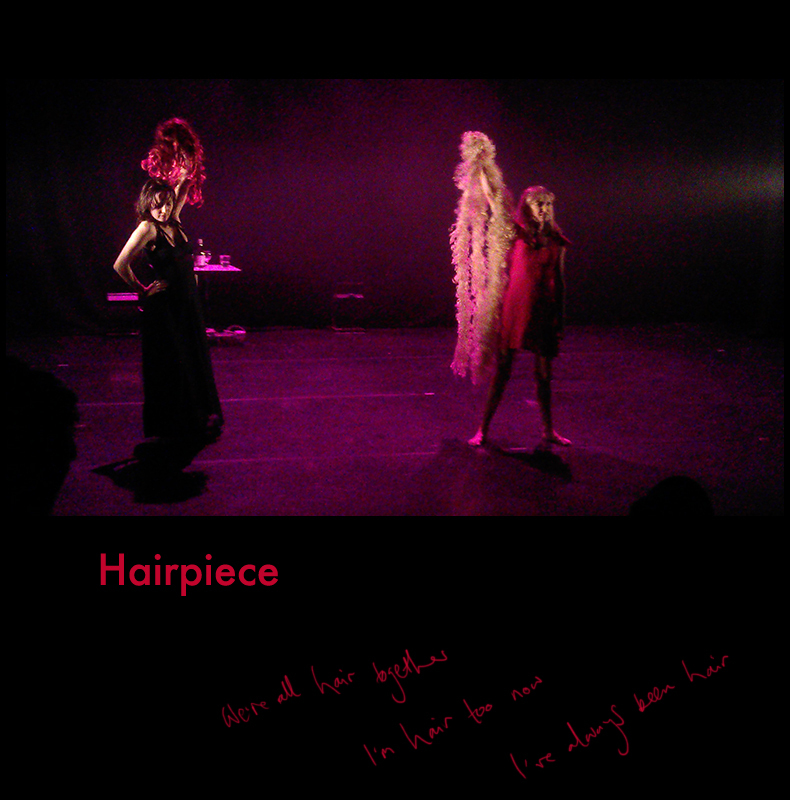 Hairpiece is a 2.5 hour durational piece, set to be the length of a traditional theatre show. This is a physical and verbal endurance game, in which 2 wigs must be held high in the air without break, and the performers holding them are locked into a game of punning that circles around questions of intimacy, entitlement and existence.